Drilling fluid shale shaker is the most important purification equipment in the solid control system.As the first stage of drilling fluid purification, the role of the shale shaker is to remove the particles larger than 70μm from the drilling fluid returned from wellhead.So that the next further cleaning stages,such as desander,desilter can keep on going.The performance of the shake shaker has impact not only on the quality of the first stage treatment, but also on the next stage purification effect. Working principle and function: Drilling fluid shale shaker is mainly composed of the frame, vibrating motor,and other component. The particles in the drilling fluid larger than the mesh hole are separated out and discharged from one end of the shale shaker screen by the vibrating force.The smaller particles go through the shale shaker screen and go into the mud tank to be separated by next purification stage. It can be seen that the shale shaker screen is an important part of the shale shaker. The shale shaker screen is a consumable component. The shaker screen’s performance and quality affect the overall screening efficiency and quality of the shale shaker. Shale shaker screen can be divided into wave screen and flat screen according to the out appearance. The treatment capacity of the wave screen is 30% larger than that of the flat screen. The wave screen is very popular with drilling companies. Different manufacturers named the screen differently.The size and the main material of the shaker screen is also different. Derrick manufactures shaker screen named FLC503 and FLC2000. the same. Both can be made of flat screen or wave screen. TR Solids Control can manufacture replacement shaker screen for FLC503 shaker screen and FLC2000 shaker screen.The details about FLC503 and FLC2000 can refer our related blogs. We will introduce other brand like SWACO and Brandt next time. 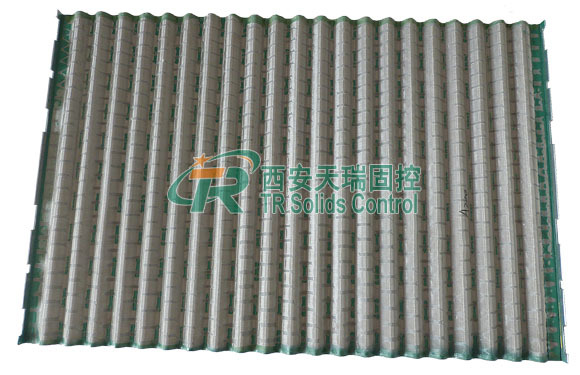 TR Solids Control is a professional manufacturer of shale shaker screen and solid control equipment. TR can provide replacement screen of derrick, swaco and brandt screen. 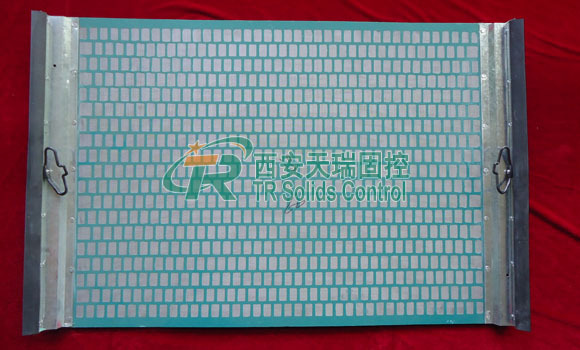 If you need any type screen, TR solid control will provide you with a high quality alternative screen. We can also customize the screen for your requirements.